Air Quality | E-Corps Expeditions Inc.
Keith Bamberger & Jonathan Navarro of NCDEQ (Formerly NCDENR) with special guests will present this workshop with a goal to familiarize teachers with the properties of air, what air pollution is, how each of us contributes to air pollution, and K-12 air quality education activities currently available. Workshop includes a combination of hands-on activities, presentation materials, videos and games. Opportunity for: C.E.U. credit and Criteria I Credit for the North Carolina Environmental Education Certificate. NC Air Awareness is the public outreach and education program of the North Carolina Division of Air Quality. The program helps individuals and organizations understand how voluntary actions can reduce air pollution improve your health. 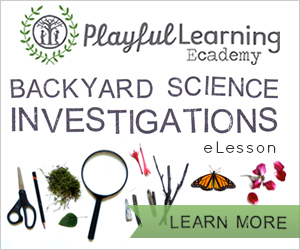 The program provides a variety of K-12 lessons and resources for teachers. All classroom lessons are aligned with the NC Essential Standards to help students reach established academic goals. In many areas, our staff can come to your classroom to share air quality activities with your students. Please provide your students the opportunity to learn more about North Carolina air quality and what they can do to help keep our air clean! Criteria I Credit for the North Carolina Environmental Education Certificate.